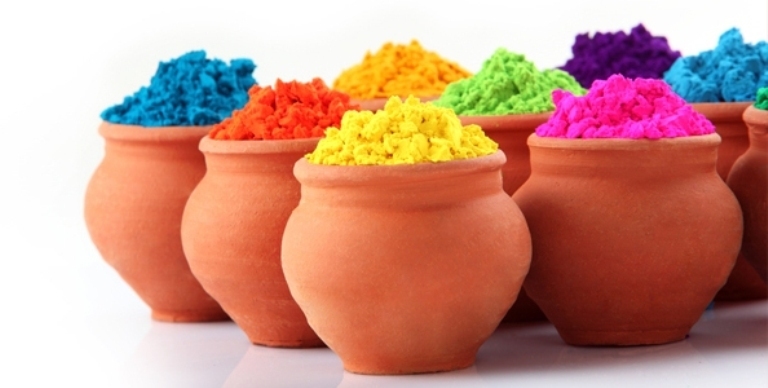 Top 5 Ideas for Holi Gifts that Convey Festive Wishes in Cheerful Way! The jovial fiesta of colors that is recalled as holi is soon to be celebrated in India with enormous gusto and excitement. Being one of the biggest Indian festival celebrations, Holi is celebrated by people of every age and cultural beliefs. 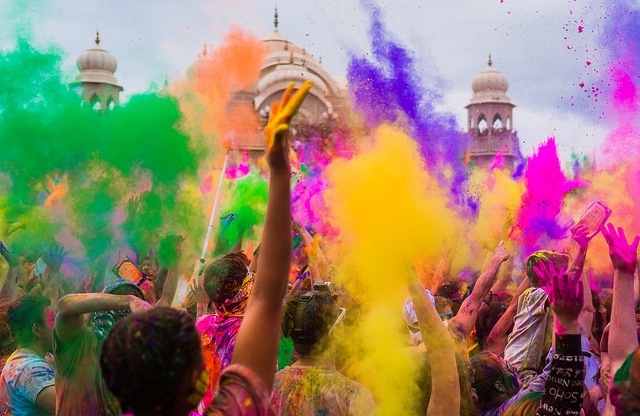 What adds into the celebratory fervor of this festival of colors is the ritual of sharing Holi gifts with close and dear ones and the loud cheers of ‘Holi Hai’…! Holi is one of the most significant festivals of India that is celebrated because of many mythological reasons and cultural beliefs. To add more cheerfulness in the colorful celebration, people share Holi gifts with close and dear ones. There are plenty of things that can be thought of gifting and greeting near and dear ones with Happy Holi wishes. The most relevant Holi gift to convey your wishes and love to loved ones is this. So, despite looking for any fancy thing that won’t be relevant to this festival of colors, choose packets of holi colors. But remember to choose herbal holi colors only as it will be safe on your loved one’s skin. To delight loved ones on this holi 2018, this is definitely an excellent gift option to make choice for. A Tray full of yummy Gujiyas is definitely an excellent gift option to make choice for. Since, it’s the sweet delight that you might be cooking at your home during this Holi. Cooking some more delicious Gujiyas to gift dear one will be great way of winning their hearts. The best way to show some care to your dear one on Holi then this is what you need to choose for gifting and greeting your dear ones. A cosmetic hamper inclusive of different types of skin care products will definitely prove a wonderful token of love for dearest one. He/she ill love to use those products after playing with Holi colors (gulal). If you wish to surprise little kids on this Holi then this is the gift option to make choice for. 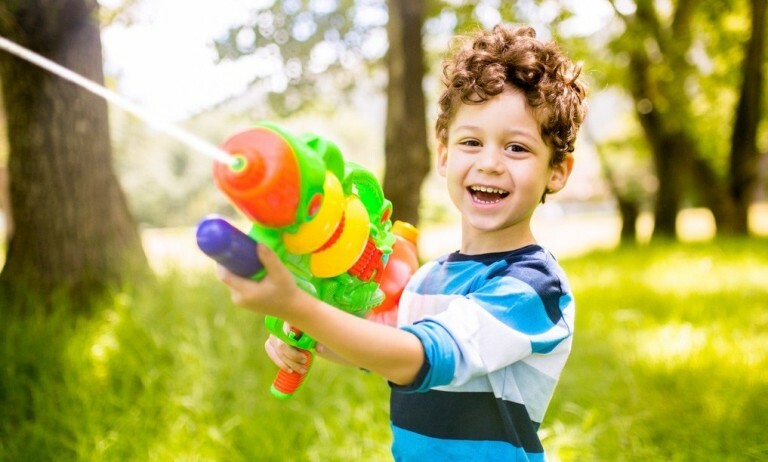 No wonder kids of every age will love to get a big water gun or Pichkari as Holi Gift. Well it can be an excellent gift of Holi for adults as well. 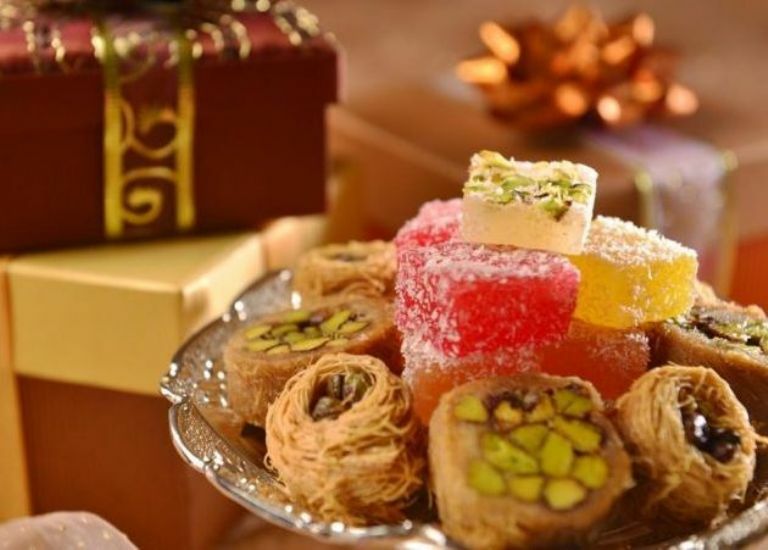 Indian festivals are all about conveying love to dearest ones with Indian sweets. 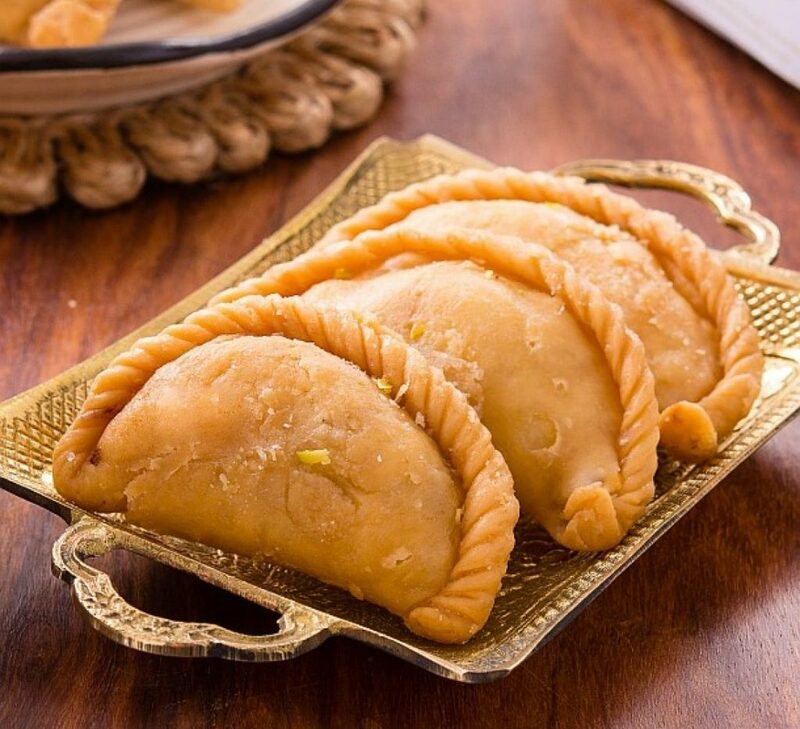 In fact it’s hard to imagine a festival or any other celebration without delicious Indian sweets. Therefore, for delighting your loved ones on Holi, a box full of delicious sweets is simply an awesome gift pick. Color smashed happy faces are what signify Holi in the best way. Also, the thing that best signifies Holi is delicious food sharing and attractive Holi gift sharing as well. And, to fulfill gifting need of people with every budget and preferences, GiftaLove.com is here with its extensive line of Holi Gifts 2018. From online Holi gift hampers to Holi sweets like Gujiyas, Herbal Holi Gulal, Water guns, water balloons an more is there to explore and shop online.